Residents in who need to have their concrete steps or walkway leveled or cracks sealed always contact the best Farmington Hills concrete contractor, Lift and Level, because Lift and Level has over a decade of experience and dedication providing concrete leveling in Farmington Hills. Lift and Level is Michigan’s number one choice for a concrete leveling contractor. 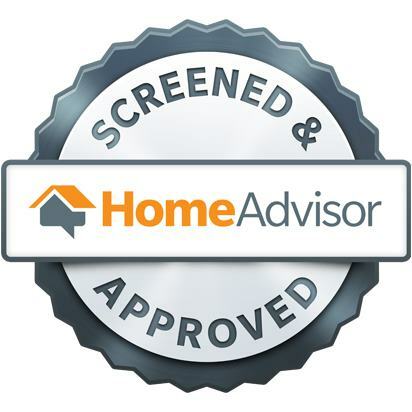 We provide a wide range of services to meet the needs of our customers in Farmington Hills, Michigan. Lift and Level can save homeowners money with our concrete leveling services. Call us for an evaluation of your current concrete surface. Farmington Hills is twenty minutes from downtown Ann Arbor. It is the second largest city in Oakland County with a population of 79,740. It has been ranked as “The 30th Safest City in the United States” and “The 36th Highest Income Cities in the United States.” The city was originally called Quakertown, because Arthur Power was a Quaker who purchased land in 1823, but in 1826 the name was changed to Farmington after Farmington, New York (where he was from). 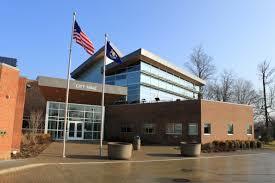 Farmington Hills, Michigan is an exciting city that offers visitors with plenty of activities to do. The Holocaust Memorial Center is located in Farmington Hills. The Holocaust Memorial Center has been teaching thousands of visitors each year about the Holocaust and its legacy. The memorial center has been open for 25 years and is open 7 days a week. There are exhibits, films, and much more. The memorial center also features portraits of honor that allow visitors to hear from many Michigan’s survivors and their story. The Woodland Hills Nature Park is a favorite place for residents and visitors. The Woodland Hills Nature Park has hiking and walking trails that are clearly marked, a pond for fishing, and beautiful nature. The Fishing Pier of Farmington Hills is a wonderful place to go fishing. The Fishing Pier is a catch and release area and there is fishing classes held often and other learning activities that the entire family will enjoy. Downtown has over 160 businesses. Each Friday during the summer months there are free concerts downtown. The Civic Theater is also located downtown. The theater was opened in 1940 and is a historical site. Each year the theater has over 80,000 visitors. It is located on Grand River Avenue and is surrounded by restaurants, shops, and a variety of stores. Farmington Hills, Michigan is a thriving community that has beauty, history, and excitement. Lift and Level is the concrete leveling professionals that local homeowners contact for all their concrete leveling needs. We have over ten years of experience and will level your sidewalk, walkways, and steps. Contact Lift and Level today for a no-obligation consultation. A Farmington Hills homeowner contacted Lift and Level. He explained that he had an uneven driveway that had been damaged the year before. The homeowner thought that he would have to have the driveway replaced, because it was extremely uneven. The Lift and Level experts set up a no-obligation consultation to meet with the homeowner and look over his driveway. The Lift and Level specialists arrived at the home and the homeowner was pleased to see them. He showed us his driveway and how uneven it was, and we knew we could easily do another concrete leveling in Farmington Hills. He said that his wife’s coworker told her about Lift and Level, and the homeowner thought that it wouldn’t hurt to ask before he went ahead with an entire overhaul of his driveway. The Lift and Level team inspected the concrete, then let the homeowner know that we could level the driveway without any problems. We also told him that once the driveway was level he could use it immediately and we would be able to have it done in one day. The homeowner was ecstatic, and asked when we could start, so we scheduled the concrete leveling Farmington Hills homeowners would appreciate. The crew arrived as scheduled and started drilling holes in the concrete, then pumping the masonry compound mixture in the holes. In no time at all the concrete driveway was level for the customer. The customer and his wife said they were so happy that they called Lift and Level for concrete leveling in Farmington Hills, because we just saved them a ton of money in a driveway replacement.